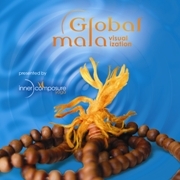 A transcendental Yoga meditation, inspired by the Global Mala movement for Peace. Click the cover to learn more about this wonderful CD. Wholesale prices also available. You don’t have to be flexible or have prior Yoga experience. The classes and Workshops are not about how flexible your body is already, but rather what intention and attention you have for your body and the state of your mind. Becoming perceptive and in tune with our physical sensations allows us to experience interconnection, unity and wholeness. These are the basics of learning how to heal from stress conditions and how to create a state of total well being. Come to the next class! I know practicing Yoga with me can help you. To find out more about my credentials and skills click here. I have inspiring testimonials from both experienced Yoga practitioners as well as beginners. Hatha Yoga is a proven method to reduce stress, strengthen and tone muscles, increase balance and bring forth calm. People just like you have embraced Yoga into their lives and are reaping rewards. Check out these testimonials. three parts of one totality. not directed to the same point.